Wales winger Gareth Bale has given his support to manager Chris Coleman despite the poor run of form that the team has been in. 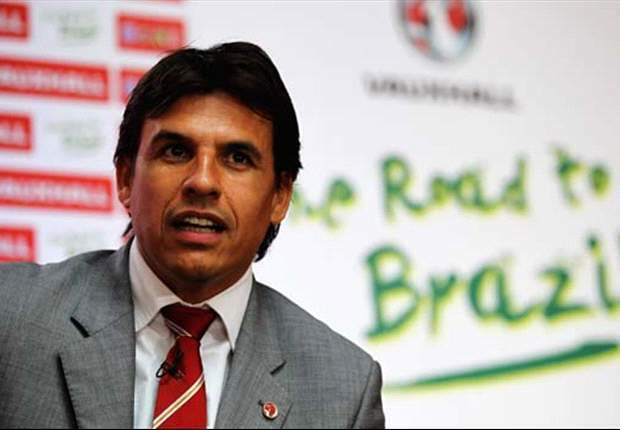 He believes that Chris Coleman is the right man for the job and that he deserves to lead Wales to the 2018 World Cup. Gareth Bale said that Chris Coleman is an amazing manager and that he has done a lot for the Welsh team during his time as manager. He stated that the manager has always been an inspiring person and it is important that fans remain behind him. Gareth Bale said that Coleman is the main reason why Wales has performed so well at the Euros in France, and he wants this to continue. He believes that things will get better and that the team will be able to qualify for the next World Cup. Pressure has been growing recently for Chris Coleman as Wales has only managed four consecutive draws in the World Cup qualification. With time running out, some pundits have called for the coach to be replaced to provide fresh ideas to the team. Bale believes that this would be a big mistake as he does not think that the coach is responsible for the way the team is performing. The Real Madrid said that the Welsh players should take their responsibilities and ensure that they give their best on the pitch. Indeed Wales has failed to replicate the performance that they showed at the Euros and there might be various reasons for this. Some people argue that the players have become overconfident and have not given their best in matches against the so-called weaker teams and this has resulted in draws. There is also the fact that Aaron Ramsey has failed to replicate his performance on the pitch and left Bale on his own to inspire the team.